Affordability constraints are applying the brakes to value growth nationwide but QV’s new data proves values are not plummeting at the rate of those across the Tasman. Sydney house values have seen a 10.6% annual decline while in Melbourne they have fallen by 9.8%, according to the most recent CoreLogic figures. 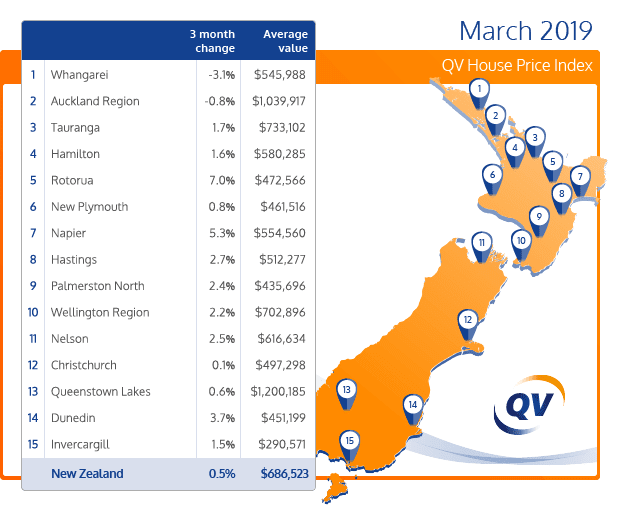 In contrast, the latest QV House Price Index shows New Zealand’s national property values grew by 2.6% over the past year and by 0.5% in the three months to March. That left the national median value at $686,523 in March 2019. 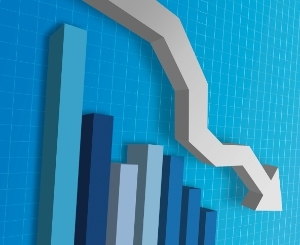 However, QV general manager David Nagel says their figures show that value growth continues to slow overall, with the national annual growth rate dropping from 7.3% in March last year to 2.6% now. Affordability constraints are a key factor behind this slowdown, particularly in high value regions like Auckland City which had an average value of $1,230,817 in March, she says. In the Auckland region overall, value growth decreased by 1.5% year-on-year and by 0.8% over the past quarter, leaving the region’s average value at $1,039,917. See QV House Price Index table March 2019 here. Nagel says the strongest value growth is generally being seen in areas such as Rotorua and the Hawkes Bay. Of the main centres, Dunedin continues to lead the value growth pack. It saw value growth of 13.3% year-on-year and by 3.7% in the three months to March. This left the city’s average value at $451,199, which is still well below the national average of $686,523. Values across the Wellington Region rose by 8.4% in the year to March and by 2.2% over the past quarter, leaving the region’s average value at $702,896. Nagel says they are seeing increased demand for different types of housing, such as low maintenance, architecturally designed townhouses in Wellington. Going forward, they are anticipating more of the same over the coming months. He says the Tax Working Group’s recommended capital gains tax shouldn’t impact investor activity much in the short term, but that may change prior to its likely implementation date in April 2021. For CoreLogic head of research Nick Goodall, it’s the Auckland figures that are interesting. Auckland values continue to fall, with the annual growth rate down by 1.5% which is the biggest annual fall since the Global Financial Crisis 10 years ago. “For full context though it’s worth noting that aside from minor monthly fluctuation, values have effectively plateaued for two and a half years now and across the Super City the average price is still higher than in September 2016. While the data shows not much has changed in terms of property value growth, the wider property market environment holds intrigue due to looming tax policy changes and the Reserve Bank’s next OCR decision in May, Goodall says.